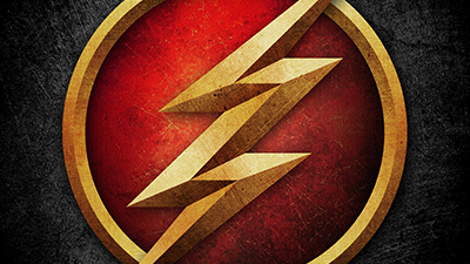 Now that we’re well into the fifth season of The Flash, it’s getting much harder for the creative team to keep the one-off meta-of-the-week stories fresh. The Flash has always had one of the deeper benches in superhero comics as far as colorful villains are concerned, but we’re down to the C-listers now, and most of them come off as pale imitations of the more memorable rogues. “All Doll’d Up” proves to be an exception, serving up a creepy meta who definitely makes an impression. As played by contortionist Troy James, best known for horrifying the judges on America’s Got Talent with his bendy ways, Rag Doll is a striking visual presence first glimpsed climbing backwards out of a gift box. Enhanced with creaky sound effects and a mask Ralph describes as “one of those porcelain dolls that’s gonna kill you while you sleep,” the character is much more interesting for his spider-walking and other twisty feats than for his backstory (spoiled trust fun kid who wants to rob joy from others). He’s really just a living prop for a story about family dysfunction and healing, but as such things go, he’s fun to watch. 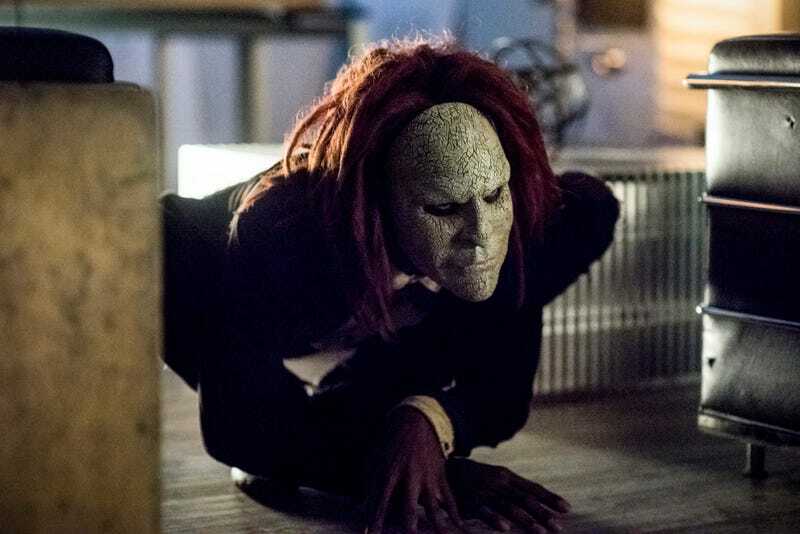 The Flash largely takes a break from the Cicada storyline in order to focus on Nora and her continued resentment toward Iris. This fits into a larger parenting narrative that also includes Caitlin’s quest for her missing father and her fear about what she’ll learn if she does find him. It’s mostly a downbeat hour, but it does hit some effective emotional beats, and for those of us who have been fearing the Nora/Iris tension would infect the whole season, it supplies some reason to hope that won’t be the case. Even when it comes to something as mundane as parent/child conflict, characters in a comic-book universe have problems that none of us will ever have to deal with. The issue with Nora is that she’s mad at Iris for things she hasn’t done yet and may never do. Her problem is with a future version of her mother, so when she looks at this Iris, she can’t see anyone else. She’s dealt with a controlling Iris all her life, but our Iris hasn’t been privy to that life and has no way of knowing why she might have acted that way...because she hasn’t done it yet. This is not something we’ll ever have to worry about, so it’s a weird thing to try to empathize with. Barry gives her the only advice that makes sense under the circumstances in telling her that she’s not that person yet and never has to be that person because she has choices. (After all, we’ve already met a future Barry that will never come to be, although I’m not sure why our Barry doesn’t mention this as part of his pep talk.) Cecile comes up with a pretty clever tactic for convincing Nora that she’s got her mother all wrong: she tells Nora heroic and inspirational things about Iris in the guise of telling them about Barry. In the end, actions speak louder and Nora is turned around by Iris’s badass leap off a building to save a plummeting Barry by unlocking his power-dampening cuffs. Suddenly Iris is schway and not schrap! But the other parental drama in the episode remains unresolved, as Cisco and Sherloque help Caitlin track down more clues to her missing father’s location. It appears that Thomas Snow was aware of Caitlin’s Killer Frost side, and I’m starting to get the feeling their reunion won’t be the happy one she’s hoping for. I’ll settle for a break from all the West-Allen squabbling, though, as it was threatening to be a real drag on the season. Cisco’s vibe powers are causing him to bleed due to some fragments of Cicada’s dagger still in his hands. He frets that being power-diminished will render him useless to the team, but Caitlin reminds him he’s a super-genius, which he proves again by commandeering the four satellites DeVoe had launched to bring about the Enlightenment. Ralph remains a reliable source of comic relief, and I particularly enjoyed the contrast between Rag Doll’s reality-based contortions and Elongated Man rubber-arming himself from rooftop to rooftop with Iris clutching his neck. Ralph’s special effects are always the most cartoonish on the show, but that’s absolutely as it should be. DC Comics nerd alert: the architect is speaking to “Novick” in Gotham City. Irv Novick was a longtime Batman artist. Joe and Cecile “look really tired.” Well, Joe does, anyway. In fact, Jesse Martin isn’t in this episode at all. At least we finally have an explanation: he’s suffered a back injury. Get well soon!